Srinagar, Jan 17: Reacting to reports that a snowcat operator had a narrow escape during a snow clearance operation in Srinagar, National Conference (NC) vice president Omar Abdullah said the men who keep roads open in the snowy conditions, along with the power department linemen who restore electricity when the lines come down are the unsung heroes of winter in Kashmir. “I’m glad he escaped unscathed. The men who keep our roads open in the snowy conditions are indeed the unsung heroes of winter in Kashmir along with the power department linesmen who restore our electricity when the lines come down,” Mr Abdullah, who is the former chief minister of the state, wrote on micro-blogging site twitter. 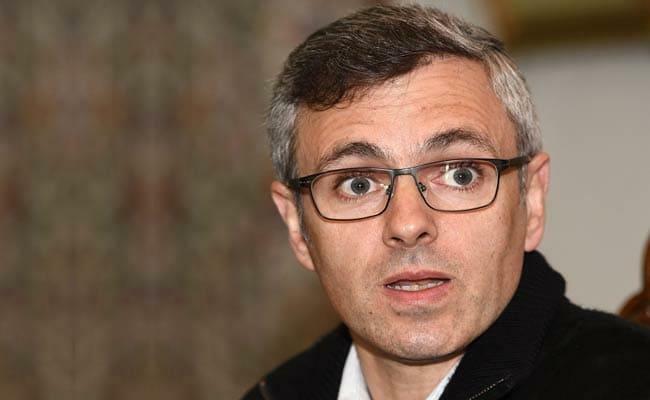 Mr Abdullah was responding to a tweet by Deputy Commissioner, Srinagar, Syed Abid Rasheed Shah. “While we criticise in the aftermath of snow, here’s a picture of the challenges operators & drivers face in clearance. At Astanpora today Mehrajuddin Ganie Operator snowcat 12 had a narrow escape. As a society we must pay our respects to them for doing a great job for all of us,” Dr Shah had tweeted.